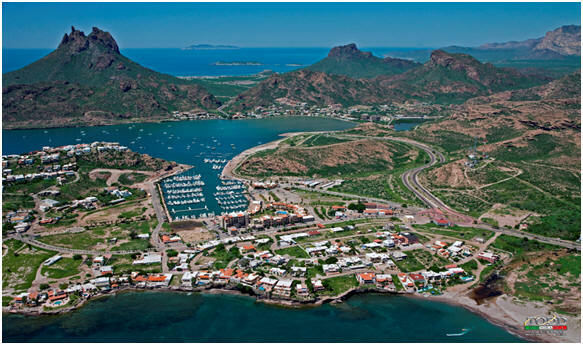 San Carlos is one of Mexico’s most beautiful places, located on the Sea of Cortez, and surrounded by desert beauty and low lying mountains. The primary attractions of San Carlos are the marinas and the beaches. Visitors also come for the delightful weather (year around average 76º), and for fishing and relaxing in the sun. The activities vary from season to season: Summer is for water sports and sport fishing, winter is better for golf, hiking, climbing, biking, horseback riding, sightseeing, and community activities. Is it Safe to Travel to San Carlos? San Carlos is a very safe place for visitors and residents. These tips will only add to your safety and security. Take the same precautions to protect yourself and your property that you would take at home. Avoid places and situations that may involve illegal activities. Travel on main routes and we recommend that you do not try to travel at night. Obey speed limits and traffic signs. Do not drink and drive. Do not even think of bringing firearms or ammunition into Mexico. Come and enjoy yourself but do not leave your common sense and good judgment at the border. What’s the Weather Like in San Carlos? The weather in San Carlos is mild year around. It never snows and it rarely rains. Summers are hot and winters are cool. 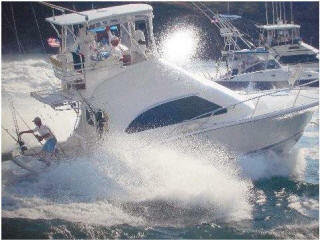 It is usually windy in March and April, and this may interfere with your plans to go boating or fishing. August is likely to have many stormy days. The best months for boating and outdoor recreation are September through mid-March. The weather in late October, November and December it starts to cool down, January being the coldest month. The “Snow Birds’’ usually come for an extended stay between November and April. They are winter residents who, like migrating birds, head south for the winter and return to their homes in the north after the snow melts. The Snow Birds, who return to San Carlos year after year, contribute a lot to the community and keep a busy social schedule during the six months they stay here. From mid-November until mid-April, Clubs such as Club Deportivo, the San Carlos Country Club, the San Carlos Yacht Club , the churches, volunteer groups such as Rescate de San Carlos , the Animal Humane Society (SBPA) and informal social and cultural groups go into full swing. In January, the Rescate de San Carlos Golf Tournament is held. Every year, supporters of the Rescate emergency services raise money with a Christmas bazaar on the Malaccan a casino night and over the top Melodrama in early March and a fun-filled bazaar in late March. The week preceding Lent, the Mexicans hold a five-day Mardi Gras festival called Carnaval in Guaymas with parades and parties through the downtown area. For visitors who came south to escape the cold in the United States and Canada and to enjoy the winter activities in San Carlos, the winter season ends about March 30th, and the Snow Birds go back to Wyoming, Idaho, Montana, Alberta and other chillier climates. Year around residents who have made San Carlos their permanent home still have plenty to do. Some groups and organizations such as the Rotary Club, remain active all year. Easter Sunday usually falls in late March or early April. The week before Easter is the occasion for the boisterous celebration when Lent is coming to an end, and is called Semana Santa (Holy Week). San Carlos is besieged with visitors who party intensively, camping on the beaches and filling up all the hotel rooms in town. This is something like the Mexican version of spring break in Fort Lauderdale, but more of a family occasion, and a lot of happy campers hit the beaches. 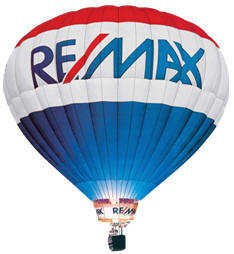 The winter months are busy with the activities of the “Snowbirds” and sun-seekers. Summer brings a different kind of tourist to San Carlos. Summer visitors usually come to San Carlos because in the hot months, from May through October, the weather and water conditions are ideal for swimming, diving, snorkeling, and fishing. In summer, the deep-sea fishermen come for the Sailfish, Marlin, Tuna, and Dorado. San Carlos has miles of beautiful beaches, all open to the public by virtue of Mexican law. From June through October the weather is perfect for swimming in the ocean or in one of the lovely pools in San Carlos. The water reaches bath tub temperatures (85–89 degrees) during the summer, and water lovers can spend hours in the water. Every major hotel and club has its own pool, and some are open to the public for a small fee. If you only visit one beach while you are here in San Carlos, it should be the Algodones beach our hottest spot. Every water sport imaginable is happening here. 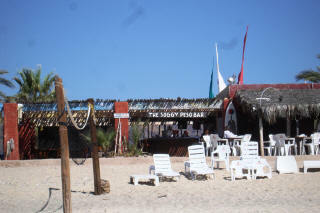 Check-out the Soggy Peso ,Bonifacios, La Salsa and the Sunset Bar and Grill for good music, dinner and drinks. 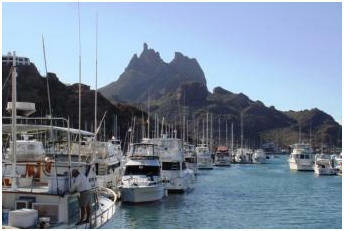 The Sea of Cortez is a favorite destination of scuba divers from around the world. The water and weather conditions are ideal for snorkeling and scuba diving. The water temperature in San Carlos, which averages 61 degrees in January, changes to an average of 89 degrees in July and August. Scuba diving and snorkeling is best from June through September, not only because the water is warm, but also because the water is clear and the visibility under water is good. The seaweed dies back when the weather heats up and the ocean’s color changes from the green of winter to the blue of summer. Scuba diving lessons and divers’ certification courses are offered in San Carlos. Boating and fishing are good all year around, but summer is the best time for those fishermen who are looking for the big ones, the pelagic, deep-water game fish. The pelagic, deep-water game fish come this far north only when the waters are warm enough for them. (The warmer the water; the better the game fishing is.) Yet, a lot of people prefer the winter seas when you can have a lot of fun, bottom fishing, and shore fishing. Game fish caught here include black, blue and striped Marlin, Sailfish, Dorado (Mahi-Mahi), Tuna, and Bonito. When the water is warm enough, Yellow fin Tuna are plentiful. Corvinas are also caught from May to September. In the summer, and winter as well, you can catch Grouper, Cabrilla, and Sierra. (Cabrilla is becoming scarce and may be on the endangered, prohibited list by now.) There is a Ladies’ International Fishing Tournament (LIFT) held each Memorial Day weekend and the San Carlos Yacht Club and Rescate de San Carlos fishing tournament in June. The Hooked on San Carlos Fishing Tournament is held in late July, the Labor Day Invitational Fishing Tournament is held in September and the Cantina Cup in October. The weather really heats up in June, July, August and September. 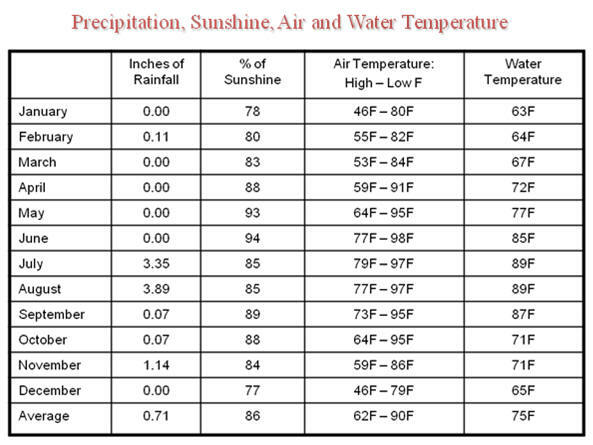 Daytime temperatures are in the 90-100’s, nighttime temperatures are in the low 80’s, and humidity can run over 50%. However, on days when the wind shifts to the northwest, the day will be cooler and drier. No matter how hot and humid it gets on land, the ocean is always cool and breezy, and boating, swimming and water sports can let you live happily with the heat. Popular water sports in San Carlos include: speed boat racing, parasailing, waterskiing, jet skiing, riding banana boats and pedal boats, kayaking, sail boating, snorkeling, and scuba diving. Autumn is one the nicest times of the year in San Carlos. September is still a little warm, but October and November are perfect. The winds are calm during November, December, and January. Thanksgiving of course is not a holiday in Mexico, but some of the restaurants and clubs serve turkey dinners. Turkeys can be hard to find, but if you just have to have one, try Sam's’ Club or Wal-Mart in Guaymas. Due to new anti money laundering laws there are many new bank restrictions on changing money. You will certainly require a passport to change cash dollars at the bank. All banks have ATM banking services so that you may withdraw pesos from your account. (ATM cards work very well and they give you the best rate of exchange.) The amount you can withdraw from the ATM is up to your personal financial institution. Very few businesses will accept foreign checks. Some stores where they depend on the tourist trade, such as gift shops, will accept personal checks, but ask them first. Workers and businesses want to be paid in cash (pesos). Large hotels and real estate offices will accept personal checks written on either Mexican or American banks, and you can mail a check in advance for a room deposit if you mail it about a month in advance. (Remember, a check mailed from the states will take two to three weeks to get to Mexico and another week to clear the bank). Almost everything else calls for pesos. Only banks and large establishments will accept travelers’ checks. Gas stations do not take travelers’ checks. If you do not want to carry a lot of pesos, your best bet is to use an international credit card: Master Card or Visa. Nearly all large hotels and tourist-oriented businesses accept credit cards, but they prefer pesos. Many credit-card issuers add a surcharge of 2% to 4% on credit card charges in foreign countries. Nevertheless, it is usually more economical to use credit cards than traveler's checks in Mexico because of the fees that businesses charge for cashing travelers’ checks. Some gasoline stations do accept credit cards. A word of caution; credit card fraud is a problem world wide and Mexico is no different. Use pesos wherever possible. With a foreign credit card or debit card, you can withdraw up to 5,000 pesos (about $500) per day from an ATM, depending on the limit that your foreign bank has established. To use an ATM machine, you must remember your pin number. If you want a larger amount you must take your credit card to the bank and present it at the teller’s window. The local bank charges about $15 (varying with the type of credit card), for an individual to withdraw money on their credit card. (The Mexican bank charge is in addition to the foreign credit card charges for cash withdrawals.) To do this, you must show your passport to the bank teller. No other form of ID will be accepted for bank transactions. Mexico has ATM machines in banks and large stores. There is an ATM machine outside CI Banco, next to the Pemex gas station on the north side of the street as you drive into San Carlos, a Bancomer cash machine at OXXO and there are several ATM machines in Guaymas at all of the banks. There is also an ATM in the Ley´s grocery store. Ley´s is located as you enter the City of Guaymas on the left side of the highway and it is open longer hours and on some of the holidays, when all the other banks are closed. There is no foreign surcharge on ATM withdrawals made with a credit card. Of course there are the usual fees your bank charges on ATM withdrawals. With a Banamex account you can deposit American checks in the bank but it will take several days to clear. Guaymas has a Western Union located in the Elektra a yellow furniture store on 19th street. To enjoy life in Mexico, it’s a good idea to brush up on your Spanish. In San Carlos, many of the residents, shop owners, waiters, and clerks speak English very well. Many, many Mexican people here have been educated at prestigious universities in the United States and/or Mexico. Even the poorest old lady selling her chickens at the Mercado may have a son attending Stanford. It is not really necessary to speak Spanish to get around in San Carlos, but it is a good move toward friendship to speak what words you can in Spanish. Informal and low cost classes are held at various places in the community and Spanish instructional materials are available online . Others learn by watching soap operas in Spanish. San Carlos is a VERY casual place. The most important item of clothing for men, women, and kids is a cap or hat to shade the sun. Straw hats are nice, but if you are boating, they may end up in the drink. The next important thing, especially for kids, is a pair of beach walker shoes (water shoes). If you plan to spend a lot of time on the beach, bring a sun umbrella. If you go out on the water, wear a good pair of Polaroid sunglasses. If you are subject to motion sickness, bring your favorite seasickness remedy. Men never need a sport coat or tie. Slacks and a sport shirt are fancy enough even for a wedding. Most of the year, you will only need shorts, t-shirts, tank tops, sneakers, sandals and swim suits. Want to be a fashion plate? Wear a Hawaiian shirt! Women wear casual clothes: skirts and shorts, and occasionally cotton dresses. In the summer, sleeveless shirts and dresses are cooler. Don’t forget your swimsuit and snorkeling gear. Bring sun tan lotion, insect repellent and a soothing lotion for sunburn and insect bites. Andantol is a good salve to stop itching. It is available at local pharmacies. In the cool months, bring shorts, a pair of jeans, short sleeve and long sleeve t-shirts, and a sweat shirt or sweater. It might be warm enough to swim, so bring a swim suit just in case. At night, women wear jeans and such. If they like to dress up a little, mini-skirt or long casual skirts, and pants suits are all it takes. Be prepared for light rains in December and again in August. You will want a light jacket or windbreaker in December, but you won’t need an umbrella. Don’t forget your camera. If you have binoculars, bring them along. In the winter, bring a wet suit if you have one.